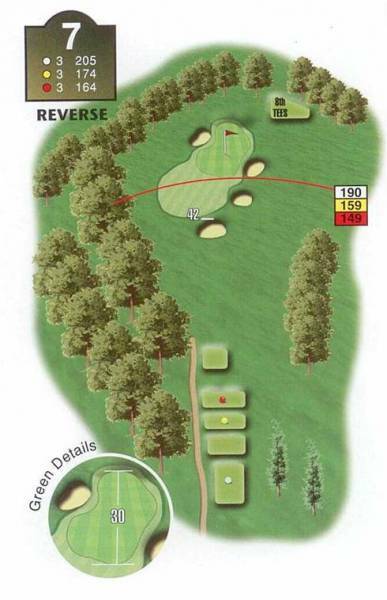 "An elevated tee shot into a long narrow green produces one of the course's toughest par 3s. Two bunkers cleverly protect this small target with thick grass ready to swallow up any stray shot. The green slopes away from the player, making a front pin position difficult to attack, while a back pin suckers you into one of the bunkers. This is one of those holes you want to get past and continue."